What does pyrogallate mean as a name of something? Ferric Pyrogallate is a constituent of the fine red solution, the formation of which occurs on introducing a dissolved ferric salt into pyrogallic acid solution. AMMONIA PyRogALLATE. A salt obtained in small white crystals when a solution of pyrogallic acid in ether is saturated with ammonia gas. AM Most A SesquicARBon ATE. See Ammonia Carbonate. AMMONIA Solution. 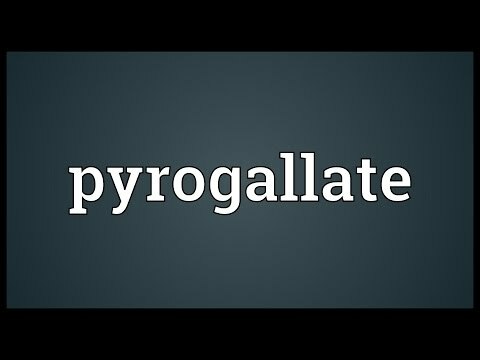 Go to the pronunciation of pyrogallate to learn how to say it correctly!